Time To Shine provides comprehensive fitness centre and gym cleaning services. We offer 24/7 service that is reliable and custom-tailored to your unique fitness business. 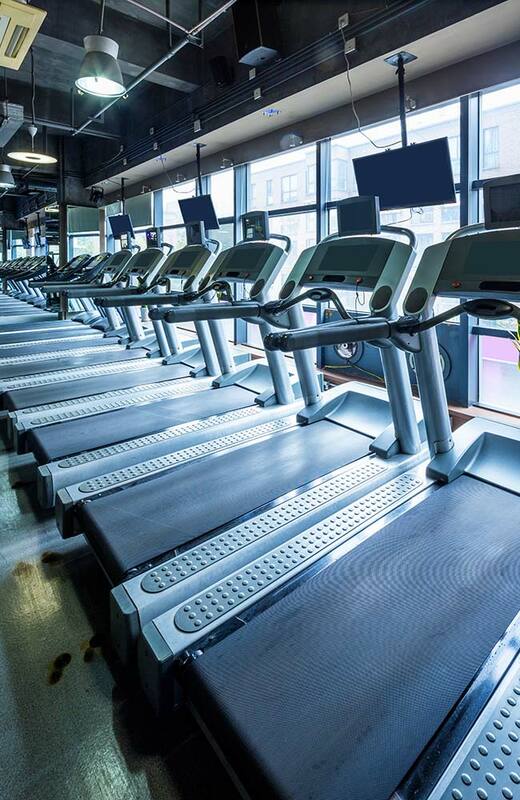 We know that keeping a gym clean is challenging, yet extremely important because germs are easily spread, especially on multi-touch surfaces. Our fitness centre and gym cleaning services can be customized to your needs and wants, focusing on all areas of your venue, including work out areas, common rooms, changes rooms & washrooms, showers, recreational areas, pools, courts, and all high touch areas. Specialized cleaning for recreational areas, courts, pools, etc. Time To Shine’s fitness centre and gym cleaning services are available throughout Calgary and the Greater Calgary Area. We have been helping fitness companies with their janitorial needs since 2009 and are recognized throughout the province as one of the best cleaning companies. Our company is fully insured, bonded, and supervised to provide your gym or fitness venue with the professional janitorial services it requires. Time To Shine Cleaning Services is reliable, recognized, and has the expertise to deliver complete customer satisfaction. We provide free, no-obligation cleaning quotes. Request a quote now.